IN the 67th minute of Manchester United’s 0-0 Champions League draw with Valencia, David de Gea blasted a goal kick straight into touch, the ball ricocheting near the dug outs. Martin Keown, commentating for BT Sport and ever the one for melodrama, remarked: ‘A cry for help?’ Although a rubbish goal kick doesn’t represent a crisis, signs of discord at Old Trafford were ever present throughout the game: players running into each other; overhit passes; a permanently frustrated Paul Pogba. Tuesday’s European match was yet another knell for Mourinho’s time in Manchester. The shadow which hangs over the Special One, questioning his tactics and his man-management skills, has only grown darker with a disappointing draw. United again lined up in Mourinho’s favoured 4-3-3, with De Gea, Antonio Valencia, Bailly, Smalling and Shaw at the back. Matic played in the holding role, with on-field disruptor Fellaini and recent off-field disruptor Pogba playing either side of him. Lukaku started up front with Sanchez on the right wing and Rashford on the left. Valencia played in a 4-4-2, a formation which appears to be steadily replacing the 4-2-3-1 and flat 4-3-3 in Spanish league football. Marcelino made wholesale changes to the side which beat Real Sociedad away on the 29th, fielding a lopsided, diamond midfield instead of a flat four. Neto started in goal with Piccini, Garay, Gabriel and Gaya at the back. French pivots Frances Coquelin and Geoffrey Kondogbia started alongside playmakers Parejo and Goncalo Guedes in midfield. Belgium’s other striker Michy Batshuayi played up front with Rodrigo. Arguably, this was a chance for either side to reignite their respective forms: Valencia currently reside down in 14th in La Liga, taking five draws in seven games, whilst United hover in 10th in the Premier League. From kick-off, the Red Devils looked promising in the first ten minutes, with Rashford making darting runs inside, but ultimately no final product emerged. Describing Valencia’s defensive strategy as ‘deep-lying’ would almost be a compliment; when United attacked, they could carve through Los Murciélagos’ midfield only to be stumped by a low-block in the final third and watch the ball frantically cleared away. When Valencia turned the tide and attacked, they fervently worked the left flank, all the play being concentrated on Batshuayi and Guedes. United and Valencia shared a parallel in this; their main creative outlets came from young starlets on the left. Yet, also equally, neither Guedes or Rashford could provide a result: Rashford’s deep crosses were nullified, whilst Guedes single-mindedly cut back early and fired the ball somewhere into the Stretford End all throughout the game. Eventually, both teams settled in and were comfortable allowing each other to hold the ball, relying on the defenders to block and clear. On only a couple of occasions United looked to press when their tails were up; ultimately, the first forty-five minutes were an indifferent and unrewarding affair. Anyone who stuck around for the remainder of the game can agree that it matched the torpor of the first half, with both teams poor in possession and unable to sharply attack. United had the lion’s share of chances, yet were only mildly dangerous from set pieces, an 85th minute free kick from Rashford rattling the crossbar. 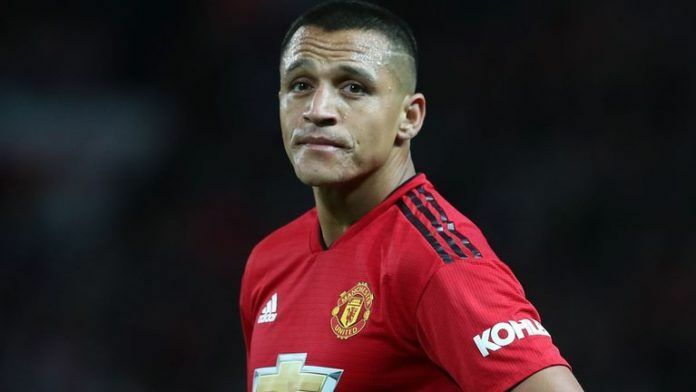 Both sides made minor changes: a lacklustre Alexis Sanchez was replaced by Martial for the last twenty minutes, whilst Soler and Cheryshev came on for Valencia to replicate the flat four that beat Real Sociedad. As the final whistle blew, boos rung out around Old Trafford; the fans’ response to this ongoing soap opera which the great club has seemingly become. A more intriguing comparison would be the shifting movement of the Valencia formation, compared to the rigidity of Mourinho’s 4-3-3. Coquelin, more of a pivot at Arsenal, featured as an inside-winger for Valencia, whilst Guedes would cut in and Parejo would typically roam in the centre alongside Kondogbia, the shape resembling something of a diamond, or a rotating square. This would be even more complicated as Batshuayi would drop in to link up the attack, playing one-twos before running at Eric Bailly. Whilst Valencia were fairly dreadful in the final third, their midfield play was fluid and energetic, something Marcelino can take into their weekend game against Barcelona. By comparison, Manchester United’s midfield was tightly compressed, with Matic as the pivot and Pogba and Fellaini jogging somewhere in front of him. Defensively, all three looked uncomfortable, with Pogba and Matic unsure who to mark whilst Los Murciélagos swapped around in the centre. Fellaini might be effective as a late substitute to cause chaos, but he is clearly not a good enough player to start for Manchester United, particularly considering a past midfield of Scholes, Keane et al. Whilst Pogba was positive in forcing the ball forward, Fellaini was not, and there was a reluctance from both to drive out wide. In contrast, local rivals Manchester City and Liverpool have a plethora of central creators who will dribble towards the wing to forge an opportunity. With yet another draw, and missing yet another win, a great spectre looms over Jose Mourinho. The Special One seems tired and agitated, resembling the bedraggled figure lampooned last year. By the end of last season, however, a little favour and a lot of hard work saw him drag the Red Devils up to second place. Although, as always in football, the focus is on the now and the near future. As United languish in the mid-table of the Premier League, with the striped basilisk of Juventus in coming weeks, we may wonder if Mourinho could even drag this United team out of the doldrums, let alone if he will be given the chance.